You are here: Home / How-to / How to free up space on iPhone ? Are you one of the users that is getting tired of seeing the messages “Storage Almost Full”. Every time you turn around your iphone relentlessly greets you with the message. 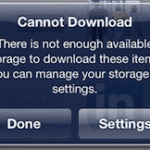 This can be very frustrating especially if you happen to have the iphones with less storage to begin with. 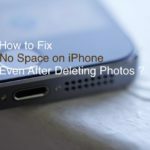 In this article, we will look at how to free up space on iphone and understand our options. 1 Question – 1. Can I upgrade my iphone with more memory? 2 Question – 2. What is taking so much space on my iphone? 3 Question – 3. What are the usual suspects that take up space on my iphone? 4 Question – 4. 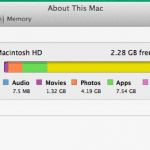 How to free up space on iPhone? Question – 1. Can I upgrade my iphone with more memory? This is the first thing that comes to mind. Unfortunately, you cannot upgrade the memory on your iphone. You are limited to the GB’s that you acquired when you bought the iphone. Question – 2. What is taking so much space on my iphone? There are different ways to find this out. The easiest way to find what is consuming space and using up your storage on you iphone is by going to Settings > General > Usage. You will find your Storage statistics on this screen. It will show you how much space is available and how much has been used. You can also see your icloud available storage on this screen if you scroll down. Question – 3. What are the usual suspects that take up space on my iphone? You will see from the images above that more frequently than not, your space is used up by primarily by your photos & camera, Music and Mail followed by other apps. Question – 4. How to free up space on iPhone? 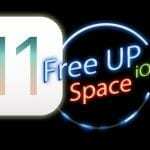 There are various ways to obtain some free space on your iphone if you are having this issue. 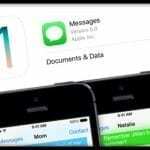 The iphone generally consumes a lot of space in storing documents and other data. Lets start with getting some space here by exploring the dozen tips highlighted below. Tip – 1. Much like in your PC or Mac, web browsers often end up storing a lot of un-needed documents and data with time. Go to Settings > Safari . Scroll down and tap Clear history and Data. You can also explore clearing up your offline reading-lists, but I usually like to keep mine intact. 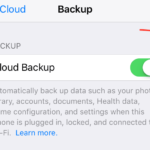 If you clear it to save space, please remember that it will also delete it from your icloud. Tip – 2. All those Apps that you rarely use can add upto massive storage space. I have Gasbuddy on my list. Although helpful when gas was at $4 a gallon, I probably am not going to need it anytime soon. You should look at all your apps and delete the ones that you don’t need. To delete an app from the Home screen, tap and hold on its icon and wait for it (and the other icons too) to start animating. Then tap on the X in the left corner to delete the app. Tip – 4. If you have Photo Stream turned on you will see photos you have taken on your iPhone or iPad, and those you have uploaded to your Mac from your camera. These images aren’t full res, but are still likely to take up a lot of space on your iPhone. Go to Settings > Photos & Camera and deselect My Photo Stream. This will delete your Photo Stream from your iPhone. Tip – 5. How many selfies do you actually need? Go through your camera roll and delete the photos that you don’t want. Most of the time, these are duplicates as you have tried multiple angles on the same photo. Tip – 6. Voicemails from yester years tend to get overlooked. Please delete the voicemails that you no longer want carrying around. Along the same lines, for your imessages, please go to Settings > Messages > Keep Messages and change the forever selection to 30 days. If you think that a message is important to you and you want to store it, there are other ways to store it as opposed to your phone. You can check out macroplant.com for a utility that helps you transfer and store messages in to your computer. Tip – 8. With music services like Spotify, Pandora and Songza available these days, you can revisit all the music that you have stored in your phone for all these years. It’s time to delete some if not most of it. Tip – 9. Revisit your newsstand and ibooks on your iphone. If you have magazines and books downloaded to your iphone that you are no longer reading since they are old, please delete them. Remember they will be available to you on icloud if you ever need them. Also, check Settings > iTunes & App Store and stop Automatic Downloads of iBooks when you buy them on other devices. Tip – 11. Text Messaging the old fashioned way was not so bad. Now you have the choice of embedding your 1080P videos and photos and emojiis and a whole lot of other stuff in your imessages. Over time this adds up especially if you don’t manage your messages. You may want to remove the messages and attachments once you are done. You may want to explore Apple’s mail drop if that works for your needs. Dropbox is also an excellent option when it comes to storing your media. Tip –12. Need we remind you about your live photos and 4k videos? If you are on the edge of the technology, I am hoping that you have an iphone with the best storage option. You may otherwise want to use the 1080p setting as opposed to 4K. If you use other tips and tricks to manage your space and would like to share, please feel free to leave your comments below.